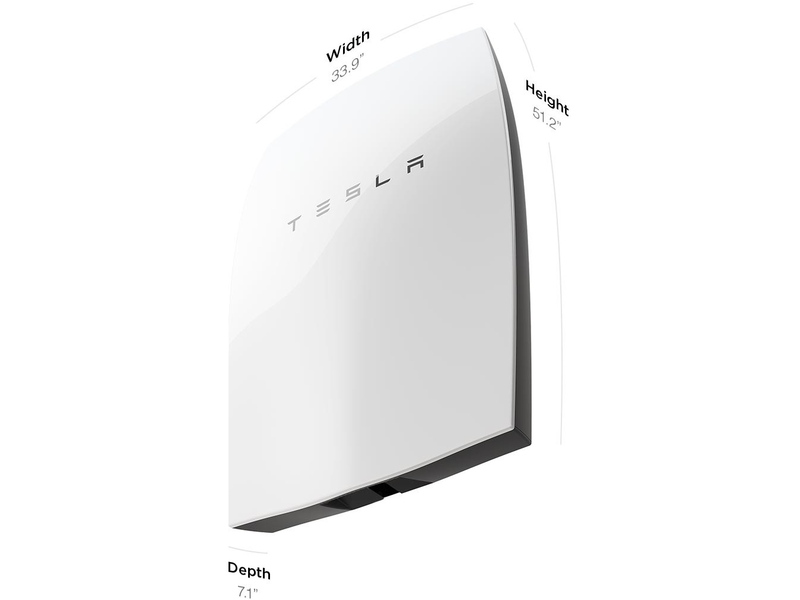 The Powerwall is the new Tesla solar battery unit to power households. It contains the same batteries present in the Tesla electric cars, is affordable and comes with a warranty. The battery can store electricity from the grid or from solar and wind generators on site, and if the grid goes down the battery will continue to power the house. This makes it particularly appealing in developing countries that have unreliable power grids or are leap-frogging the power grids altogether. Powerwall comes in 7 kWh daily cycle and 10 kWh weekly cycle models. The 7kWh unit costs $3,000 and the 10kWh is $3,500. The battery comes with a 10 year warranty and is sufficient to power most homes during the peak evening hours. For greater energy need, multiple batteries can be installed together, with up to 63 kWh total for the 7 kWh battery and 90 kWh total for the 10 kWh battery.